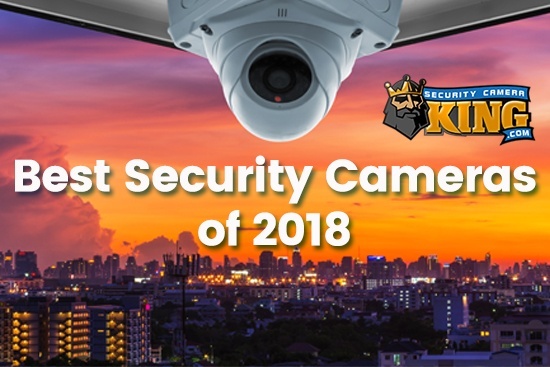 Home safety and security is a top priority for many people. If you have children, keeping them safe requires teaching them the importance of home safety and security procedures. They should understand the basic rules of safety both in the home and at school. There are basic guidelines you can teach your children to improve their safety. Home security alarms should be always be used, especially when you are at home. You can teach your children the importance of home security alarms and how they work. You don’t have to make your children frightful, but it is important that they learn about basic safety and security issues. Show your children the security system’s keypad and explain what the buttons are used for. For example, some keypads have a picture of a fireman, policeman and an ambulance. You can explain the fireman is for the possibility of fire, policeman is for theft and an ambulance is for medical emergencies. If your keypad doesn’t have these pictures, you can just explain what they mean. Let your children practice arming and disarming the alarm system. This will help them retain the information. Explain why it is important for the alarm system to be on even when everyone is at home. Tell them that a thief may not know someone is at home and using a security alarm is a great way to keep your family safe. You should explain to your children how your smoke and carbon dioxide alarms work. They need to understand the dangers of fire and carbon dioxide poisoning. Explain that carbon dioxide cannot be detected except through the alarms. If you have a wood stove, gas appliances or a fireplace, you can explain how these things can produce carbon dioxide. You should also tell them what happens if someone is overcome with carbon dioxide. This can help your children understand why you have these alarms in your home and what they are do. Explain to your children how smoke alarms detect smoke and sound the alarm. If you have fire alarm sprinklers, you can explain how they work. Sprinklers will not go off from smoke alone. If the sprinklers detect heat not smoke, then they will spray water in the area. Many children are curious and would love a frank explanation about your alarms and how they work. 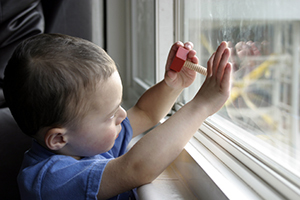 Explain to your children the importance of keeping the windows and doors locked at all times. If you have door and window sensors, you can explain how they work. Show your children how locks keep the doors and windows from opening for their safety. This is a great way to spend time with your children while teaching them basic safety rules. You can also explain why you should keep the garage door locked and secured. The garage door is a favorite target for thieves. You can explain to your children the items a common thief is looking for when they break into the garage, windows or doors of your home. If you have deadbolt locks on your doors, show your children how they work. Children will also enjoy a simple explanation of the entire security system. 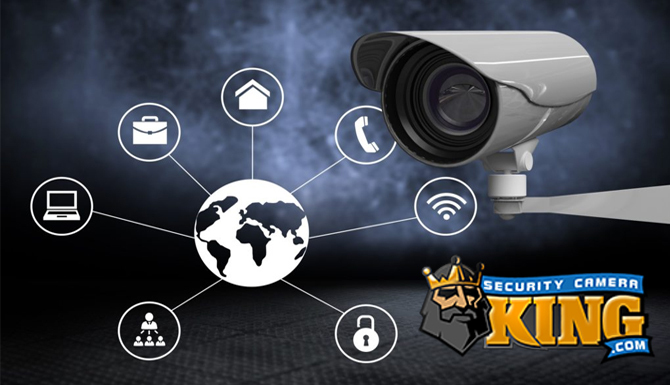 If you have a surveillance system installed in your home, show your children how it works. Also, explain the advantages of having images recorded and a basic explanation of how they work as part of your overall security plan. You can demonstrate to your child how easy it is to view the images on your smartphone or a computer. Children love to learn new things and surveillance cameras are intriguing to them. You can show them how they work even in low-light conditions and how important it is that they don’t play with the camera’s equipment. 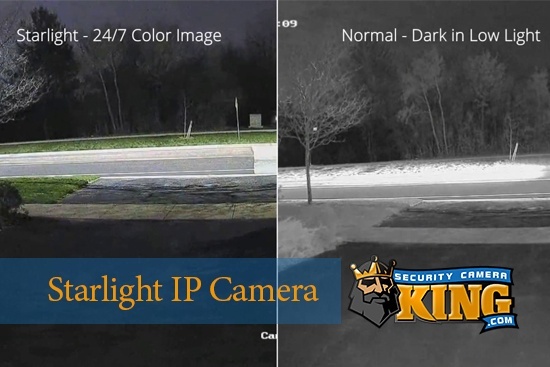 If you have a surveillance camera system that works with motion detecting hardware, show them how it works by sensing heat. Children love to learn all about the world around them. Teach your children basic safety rules such as not opening the door when someone knocks or rings the doorbell. Instead, they should look for an adult to answer the door. You can briefly explain the fact that a stranger at the door could be a safety issue for everyone in the home. You should also teach your children other safety rules such as not talking to strangers on the phone. Everyone in the home should know what to do during an emergency. An emergency could include fire, smoke or intrusion. If every family member knows what to do, then the fear can be reduced. Plan and practice for emergency preparedness on a regular basis. Give each family member a role to play during an emergency and they will feel like an important part of a team. Children should learn important safety rules, especially when they are away from their family. Whether this is at school or a friends house, teach your children not to talk to strangers. Explain to your children that they should find an adult if a stranger approaches them. You can also teach your children to yell or scream the fact that they don’t know this person. If a stranger approaches a child and the child screams, not everyone around would know there may be a problem. Many times people witness a child having a temper tantrum in a store or out in public and people think it must be their parents that is with the child. If you teach your child to scream the fact that they don’t know this person, then other people may take notice and call the police. Teach your children how to dial 911 for any emergency. Even very young children can learn what 911 means. You could practice with a play phone with your child and act out an emergency situation. Emergency preparedness is a great way to give your children the confidence to remain calm during an emergency. They should also be taught how to handle a medical emergency. School officials teach children about emergencies at school such as fire, weather emergencies and tornado preparedness. 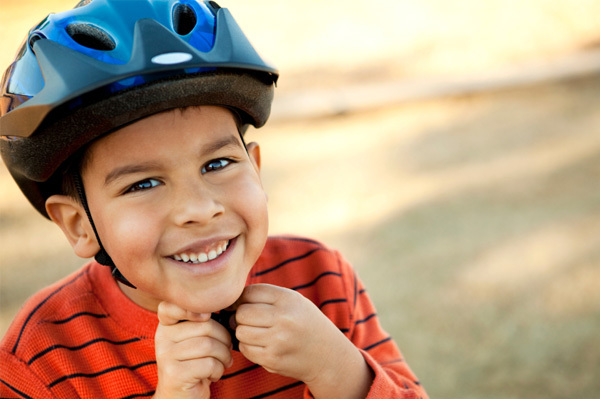 You should teach your child basic safety guidelines if they walk or ride their bicycle to school. Make sure they know the safest route to school. Teach them the importance of listening to the cross guard or other adults before they walk across the street. They should understand how to look both ways before crossing safely. Bicycle safety should be reviewed frequently. They should also learn about bullying and how to report the problem. Bullying at school has become a common problem across the nation. Talk with your children about bullying and why it needs to be reported to school officials. You can increase your children’s confidence about bullying issues just be talking about it with them. Explain that it is never their fault and it should not be tolerated. You should have a first aid kit in your home and teach your children how to use it. Explain what each product does and what it is used for. This will help teach the concept to your children about how important it is to have a first aid kit. You can buy a ready-made kit at your local retail or grocery store. You can also make one with your children’s help. This can be a fun activity for your children while teaching them basic first aid safety. They probably know what a band-aid is and why it is used, but show them why you need dry ice packs and other items. Most parents childproof their home when their children are babies. However, there are common household items that can bring harm to children, if they decide to play with them. Teach your children never to climb television stands or shelves to retrieve an object. Hundreds of injuries occur each year because of children climbing. A television stand that holds a television can easily topple onto a child. Shelves can break and cause injury to your child if they decide to climb them. Of course, never leave sharp items or guns where children can gain access. Children don’t always understand the dangers that are involved with these items. Safety education will inform your children about risks often found in the home. Make sure your child is old enough before operating the microwave. Microwave ovens cause hundreds of injuries to children each year. Show them how important it is to cook in the microwave only when being supervised. The main problem with microwave cooking is the fact that it can get so hot that your child may not recognize this before it is too late. They should never handle hot food from the microwave. Microwave popcorn can also be a danger. Establish the rule that your children can’t cook unless an adult is home. Teach your children about the dangers of spilling liquid on top or around electronics. Explain the basic concepts of electricity and the dangers. Children should understand that there are safety rules they need to follow on every electronic device, home appliance or security system. Show your children how to handle electronics safely. They should never eat or drink near them. Most of these tips you have probably discussed with your children. However, repeating safety rules and the reasons for them, will ensure they understand about possible dangers around the home. It is hard to stand guard and watch your children every possible minute. It is important that they understand the reasons behind safety rules. A great way to teach your children about the dangers of fire, is to take them on a field trip to your local fire department. Many fire departments also hold child safety classes a few times a year. Call your local fire department to learn about their programs for children. You can also call your local law enforcement office, or visit their website, to find community safety programs for children. Children love to visit the firehouse, or talk to local law enforcement officers, and they really pay attention to what they have to say. When your child is away from home, you should always know where they are and who they are with. Establish firm guidelines such as strict times when they must come home. Teach them the importance of being on time. Young children should not be allowed to go anywhere alone. Older children should take at least one friend with them. Don’t let your children go inside a public restroom alone. They also should not be allowed to play in a public park without adult supervision. You should have the names, phone numbers and addresses of your older children’s friends. When you are out shopping as a family, teach your children what to do if they become separated from you. They should know how to find a store clerk or security guard to ask for help. This is especially important at amusement parks, large gatherings and anywhere else there is a large group of people. Younger children can hold hands with their siblings or parents. Consider renting a stroller at these places if you have younger children. If you move to a new neighborhood, take your children for a walk each evening until they get used to the area. They should be able to identify your home and other landmarks in the area. Make sure your children know their address and phone number. They should be taught to be alert in their surroundings. Teach your children to trust their instincts. If they feel something is wrong, they should talk to you or a school counselor immediately. When older children are at home alone, they should follow basic security guidelines. Make sure they know how to respond to emergency situations. Establishing safety rules and guidelines will help your children stay safe at home, school or even away from home.